Not long ago, I conducted a poll on this site about whether police officers should face murder charges in this exact scenario. Over 70% of you currently think they should. I also did a podcast that addressed that police officers who illegally enter your home should be met with force. Thank God no one was hurt. The home owner was just defending his family from armed, aggressive home invaders. This makes me wonder if the police identified themselves. My guess is the owner would not have fired if they had. There’s a music video becoming very popular right now about these ‘no knock’ raids. The most relevant part of the video is when the Chief says the situation could have been much worse if it were not for the ‘professionalism’ of this team. Proper investigation and identification would have been the professionalism citizens would expect. Then this whole thing could have been avoided. 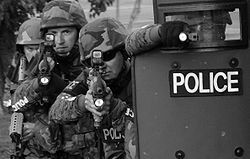 I don’t think I’d call it professional to not identify yourself as law enforcement, and fire multiple rounds (while missing the target) professional. This time, at least, the lack of professionalism saved this family’s lives. Remember the guy who flipped off police officers, and was awarded some money after they issued him a ticket for doing so? With that story all over the national news media, why on Earth would an officer ticket somebody who flipped off another driver? So Pogue was given a ticket for flipping off the car that had blocked the intersection. nor shall any person extend any part of his body outside the vehicle except the hand and arm for signaling purposes only. Yeah, like they enforce that one. I’m sure everyone with a convertible gets tickets on a regular basis. What about people who hang their elbows and feet outside the window?Though, the latter should be a ticketed offense in my opinion. 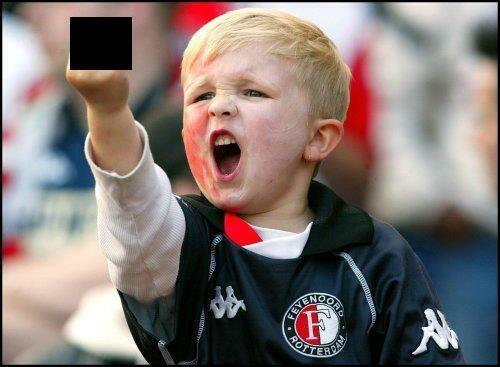 The courts have already ruled you have the right to flip someone off. Expect a lawsuit. Jim Epstein discusses his arrest at DC Taxicab Commission meeting. I have been facing similar abuse from government authorities lately (except I haven’t been arrested yet). In my case it’s the department of unemployment here in Nevada. I recently caught their employees lying to me, tried to rectify the problem to no avail, and finally posted the audio recordings (I had permission to record) online. That finally got their attention, and I removed the post as a part of the deal to give me the money I was owed. Now they refuse to speak to me unless I’m not recording, and started a personal crusade against me. 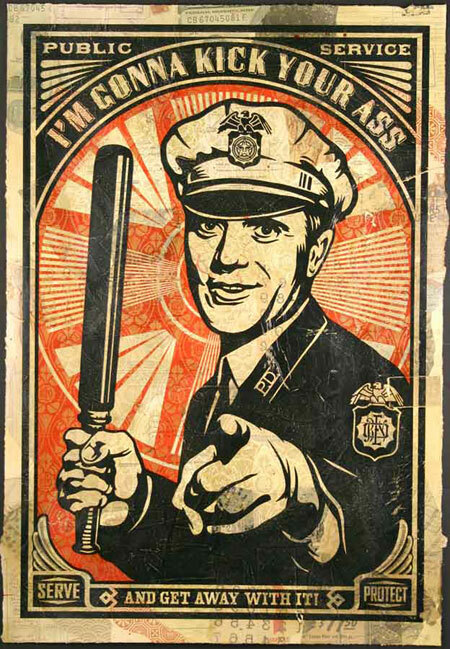 More and more police officers are allowing themselves to be used as pawns by abusive government to suppress the people. And some don’t think the Oath Keepers are a necessary organization. The man filming the journalist’s arrest works for Reason, and he was also subsequently arrested. For the record, neither man broke the law. Both were fully within their rights to record per D.C. Code § 23-542. The Taxi Cab Authority and the police officers are guilty of breaking the law themselves. Clearly the police are lying, at least about his ‘falling.’ The man is in a wheelchair and posed no credible threat to officers. There was no reason to pull him out of the chair violently, and throw him face first into the ground. And they are charging HIM with assault?